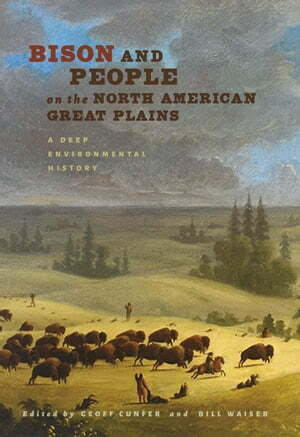 Collins Booksellers - Bison and People on the North American Great Plains by Dr. Geoff Cunfer & Dr. Bill Waiser, 9781623494759. Buy this book online. The near disappearance of the American bison in the nineteenth century is commonly understood to be the result of over-hunting, capitalist greed, and all but genocidal military policy. This interpretation remains seductive because of its simplicity; there are villains and victims in this familiar cautionary tale of the American frontier. But as this volume of groundbreaking scholarship shows, the story of the bison’s demise is actually quite nuanced. Bison and People on the North American Great Plains brings together voices from several disciplines to offer new insights on the relationship between humans and animals that approached extinction. The essays here transcend the border between the United States and Canada to provide a continental context. Contributors include historians, archaeologists, anthropologists, paleontologists, and Native American perspectives. This book explores the deep past and examines the latest knowledge on bison anatomy and physiology, how bison responded to climate change (especially drought), and early bison hunters and pre-contact trade. It also focuses on the era of European contact, in particular the arrival of the horse, and some of the first known instances of over-hunting. By the nineteenth century bison reached a “tipping point” as a result of new tanning practices, an early attempt at protective legislation, and ventures to introducing cattle as a replacement stock. The book concludes with a Lakota perspective featuring new ethnohistorical research. Bison and People on the North American Great Plains is a major contribution to environmental history, western history, and the growing field of transnational history.